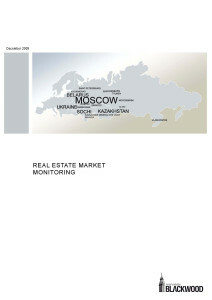 The overview sums up the results of the real estate market in H1 2011, including residential real estate market of Russia on the whole, Moscow and Moscow Region, as well as detailed analysis of the elite residential real estate market, enclosing city and countryside sale and rent residential segments. According to the Federal State Statistics Service, 15.3 mln. sq.m. 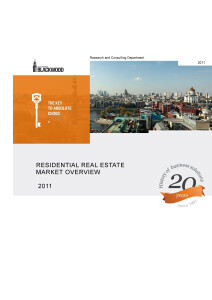 of residential space were commissioned in Russia for January-May, which constitutes 93% of the indices of the corresponding period in 2010 and 24% of the annual delivery plan. On the whole, 63 mln. sq.m. of residential space are planned for delivery in 2011. 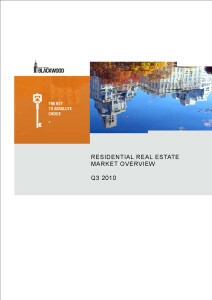 The trend of the primary market replenishment with new properties, characteristic of the first three months of the current year, continued in Q2 2011, however the delivery paces of new projects slowed down. The projects, delivered to the market during the period under consideration, referred predominantly to the economy and comfort classes. 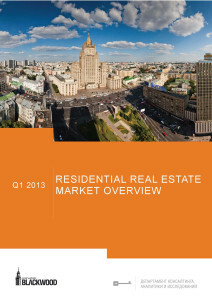 The total supply volume in the primary market amounted to 210 properties (buildings) or approx 0.9 mln. sq.m. (regardless of apartments) as of June 2011. In H1 2011, the demand on the residential real estate in Moscow stayed high: it caused, among other things, the return of sales paces to the pre-crisis level, as well as the gradual price growth. At the same time no positive dynamics of demand versus the corresponding period of the previous year was observed. By the results of H1 2011, the average price in the primary residential market of Moscow grew more than by 4% and reached the level of 175, 540 rubles per sq.m. In dollars the average price in the primary market amounted to $6, 270 per sq.m. as of June 2011. 13.4% increase by the results of H1 2011 was caused by the weakening of dollar against ruble. The average level of prices in the secondary residential market amounted to 182, 000 rubles per sq.m. ($6, 500 per sq.m.) by the results of June 2011. The growth of ruble prices by the results of the half-year did not increase 1%, the change of dollar prices constituted +9.2%. By the end of H1 2011, the supply volume in the primary market of apartments in Moscow amounted to approx 785 apartments (about 100 thous. sq.m.) in 13 complexes. The average price in the primary market of apartments increased by 2.8% and reached $7, 400 per sq.m. by the results of H1 2011. The main trend of this segment is currently the increase of the number of properties in supply and the growth of the number of announced projects with an apartment component. By the results of H1 2011, the summary supply volume in the primary and secondary elite residential market amounted to approx 1, 900 apartments (360 thous. sq.m.). The demand in the elite residential market of Moscow displayed traditional for the beginning of the year growth and decline in light of the upcoming season of holidays. At the same time the indices of demand remained at the level of the previous year. By the end of H1 2011, the average level of prices in the primary elite residential market was set at $ 19, 000 per sq.m. level, in the secondary market - $23, 800 per sq.m. The elite rental apartment market displayed stably successful development with seasonal bursts and slumps of activity, similar with previous years. It is notable that the share of expatriates in the demand structure was growing – it reached the pre-crisis level of 70%. By the results of H1 2011, the average level of rental rate reached $8, 300 index per apartment per month. The growth for H1 2011 amounted to 5%. The building activity in the regional residential market is gaining force – by the results of June the index of new buildings supply volume reached 771 properties or 2, 031.4 thous. sq.m. For the first months of the year the price dynamics was negative in the conditions of stably moderate demand and the appearance of great deal of offers at the initial stages of construction in the market. The prices growth was indicative of the fact that buyers’ activity was gradually growing. In H1 2011, the delivery of countryside projects continued, however, economy class projects still set the pace in the total new supply volume. 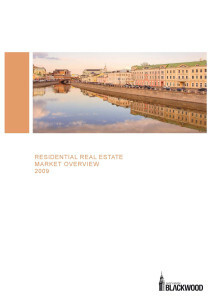 The average market prices growth for H1 2011 amounted to approx 3%. 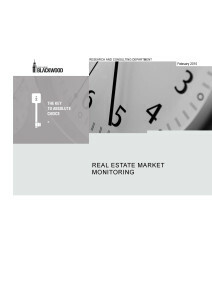 According to Blackwood company experts’ opinion, positive dynamics will remain by the end of 2011, the growth of prices may reach 5-7% on average in the market. The wholesale land market stayed stable in H1 2011, there was no tangible recovery. However, the trend of gradual recovery of development activity on the part of large companies was observed: thus, the beginning of development of several large projects was announced in H1 – two of which are resorts in Ruzsky region. One of important news for the whole real estate market of Moscow Region was Dmitry Medvedev’s speech within the framework of St.-Petersburg international economic forum with the initiative of creation the Capital Federal District and the withdrawal of a number of large administrative and business institutions beyond the borders of the capital to the adjoined to Moscow territories.